The lotus is one of the most recogninzed flowers, a symbol of purity and of the soul. 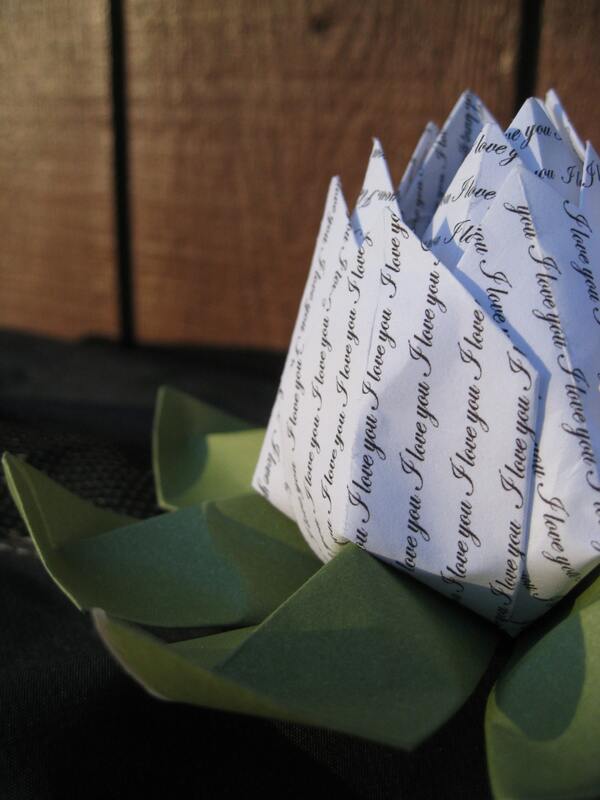 This origami lotus is the perfect thing to give to someone you love. 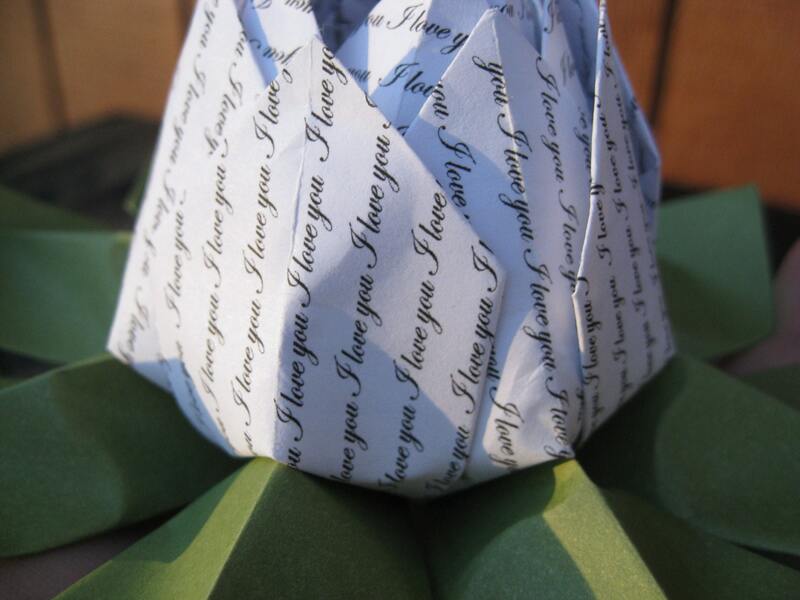 It is made of green leaves and flowers made from white paper that says "I Love You". This flower measures almost 5", including the leaves. 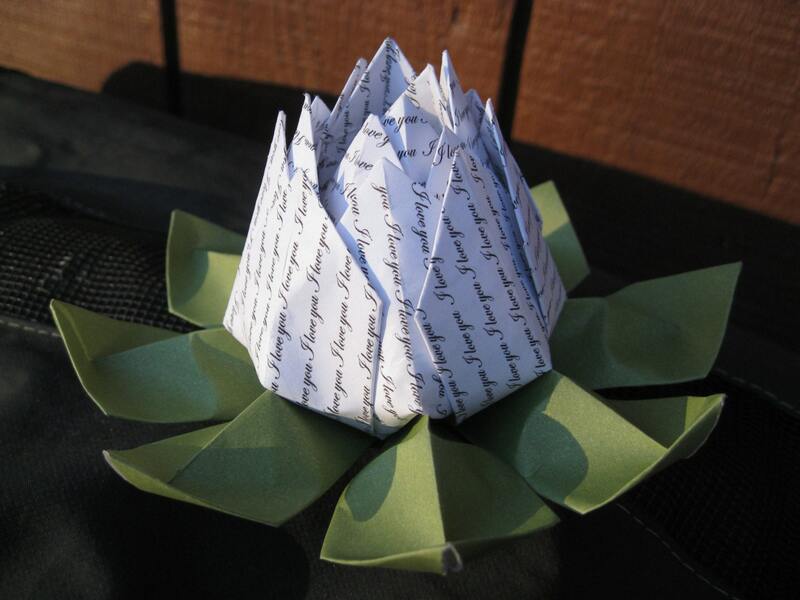 This listing is for a single lotus flower. If you would like more than I have listed, just let me know and I can make you some more. 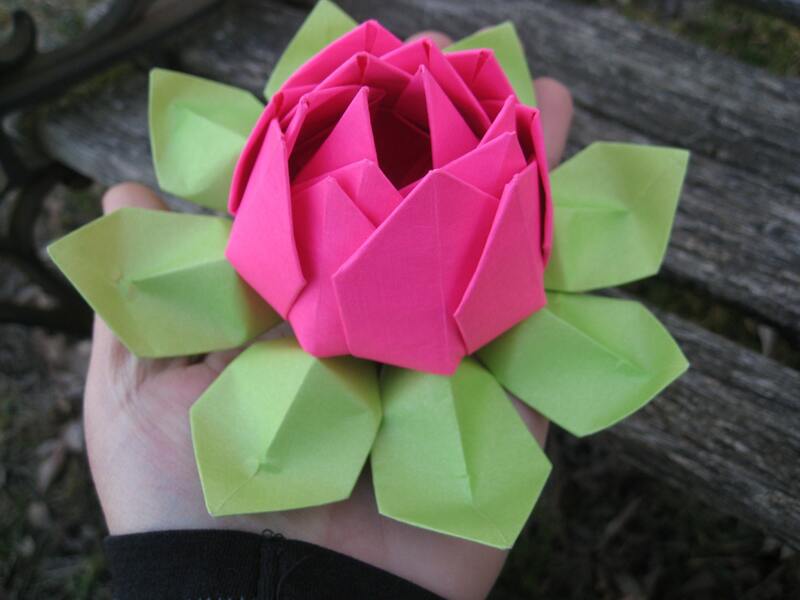 I can do these flowers in any color or paper! 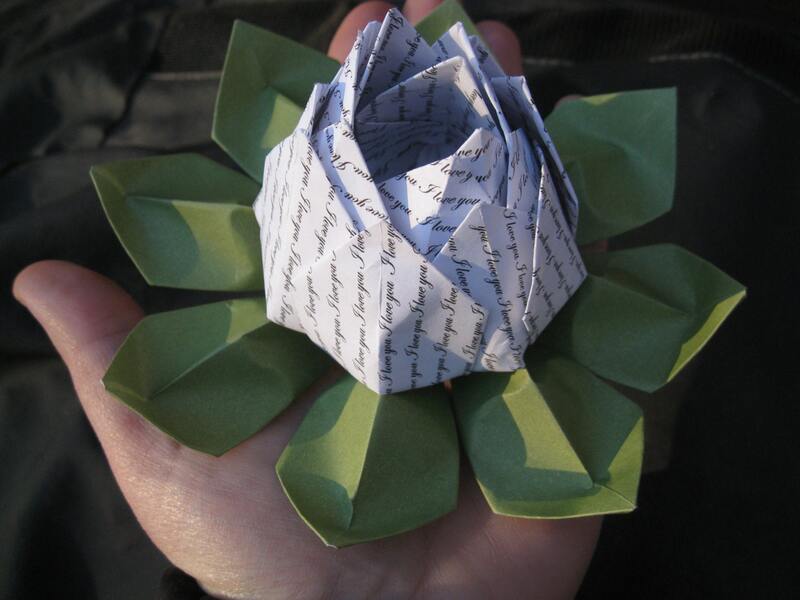 I can even make them from books! These make perfect favors for showers or weddings, too! I can also make them in bigger and smaller sizes!. :) See the last photo for an example of other types. **sometimes the green of the leaves varies. It just depends on the paper I can get that week.